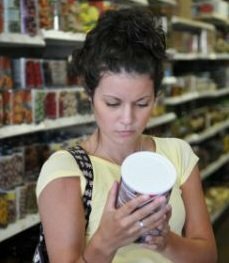 If you have been reading food labels in the last few years, you will often encounter something called “inulin.” You are probably wondering what it is and why is it increasingly added to the food supply. Inulin is a carbohydrate that occurs naturally in a number of vegetables and fruits, including bananas, onions, wheat and asparagus. The inulin that is both added to foods and used as a medicine is most likely derived from the root of the chicory plant. It is produced by combining ground chicory root with water and removing the insoluble fiber. What is inulin used for by food producers? Food manufacturers add inulin to products in order to increase the fiber content and to add satiety and flavor. It also may appear on the food label as "chicory extract," "oligosaccharides," "chicory root," "beta fructans," or "dahlia extract. When it is added to foods, inulin provides soluble fiber which provides food for the friendly bacteria found in the digestive tract. It seems to help increase regularity, especially for people who struggle with constipation. What is inulin used for in medicine? There is some evidence that inulin will help to lower the level of blood fats, called triglycerides, by decreasing your body’s ability to make these fats. This effect has been achieved by taking medicinal doses of inulin for a period of several months. You would need to talk to your health care professional to get advice on dosage and advisability of this treatment for your circumstances. Inulin has been promoted as a way to lower blood cholesterol and for weight loss. However, so far, there is no evidence that it can have a significant effect on either one of these issues. The main side effect of inulin, especially consuming too much, is possible stomach upset. Pregnant and nursing women should avoid it, since not enough is known about its effects to assure its safe use during pregnancy or while nursing a baby. I eat organic yogurt on almost a daily basis. It is a great source of calcium, protein, probiotics, and it is easy to digest. When I checked the ingredients, I expected to see milk, live cultures, and maybe some Vitamin D. However, there was one more ingredient—inulin. My first question was, “What is inulin?” I did some research and found that it was basically a soluble fiber, usually derived from chicory root that is used as a food additive. I wrote a letter to the company that produced this yogurt and asked why you would put any additives in organic yogurt, and explaining, regretfully, that I could no longer buy their yogurt due to the inulin. Within a month or two, the inulin was gone from their yogurt, and I have been buying that brand ever since. It was probably just a happy coincidence that the change happened so soon after my letter was sent, but I like to think that it may have been part of a customer response that caused them to rethink their product. I am now very careful to avoid products with inulin, but my husband can tolerate them with no problem. It is interesting that I have no reaction to the inulin that occurs naturally in foods like wheat, asparagus and onions, but react to the inulin used as a food additive. There is probably a lesson in that somewhere! Click here to go from What is Inulin page to Artificial Sweeteners page.